One of my favourite ways to spend a Sunday afternoon is dropping over to Dundrum Town Centre for a mosey around with my Mam and going on a bargain hunt in Penny’s before having some lunch. 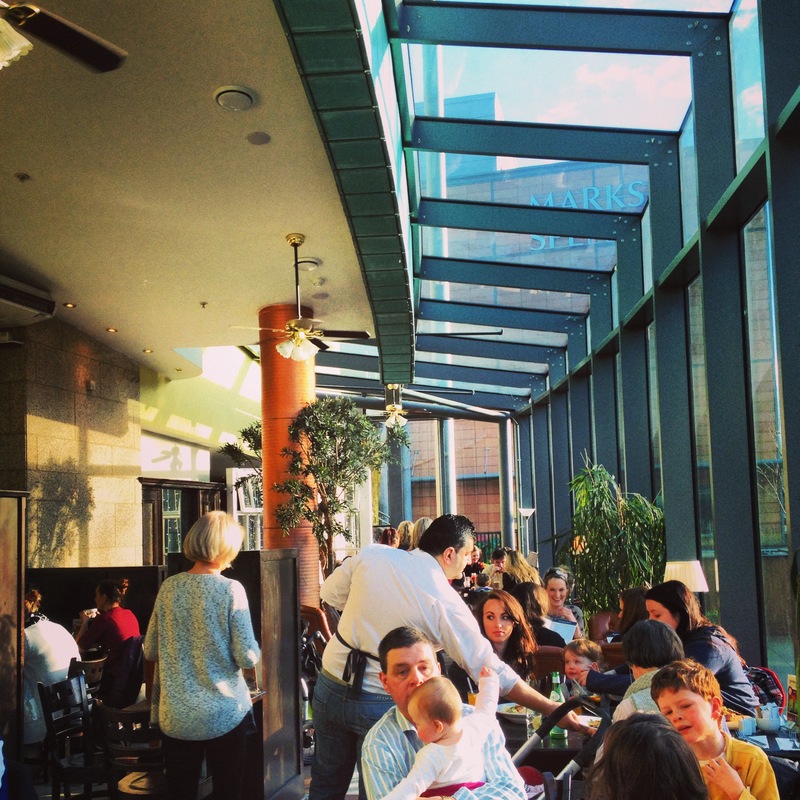 I’ve eaten in most of the restaurants in Dundrum, be it inside or out in the Pembroke District….. Beeftro, Siam Thai, Jamie’s Italian, Milano’s, The Port House, Ananda, Rock Lobster… there are plenty to choose from! You will usually see a bit of a queue outside but there’s so much seating there that you never wait longer than a few minutes. There are 2 sections to eat here, the front part and then the covered terrace area at the back, which is where I prefer. It’s a lovely bright space and on a nice day it’s so relaxing to have your lunch with the sun shining in through the windows. They’ve also got an outdoor terrace just on the off-chance that it’s a day for eating al fresco! I often chose this place if I’ve already had a particularly piggy weekend and am feeling guilty. They have a great menu that offers the healthy option or else the big dirty hangover food which is often required on a Sunday afternoon – especially after braving the mess that is Penny’s on a Sunday! The menu is pretty great here. First off, they cater for food allergies and many dishes are marked gluten free or have the option to go gluten free. They do a great range of salads, sandwiches, ciabattas and bagels then more substantial options of stir fry, pastas, burgers and fish & chips to name a few. On this occasion I was feeling totally bloated and sick of indulgent feed after the Christmas hols so I was trying to be super healthy. I went for a salad, I think it was called “Almost Syn Free”…. A nod to the Slimming World “syns” for foods which aren’t super healthy. 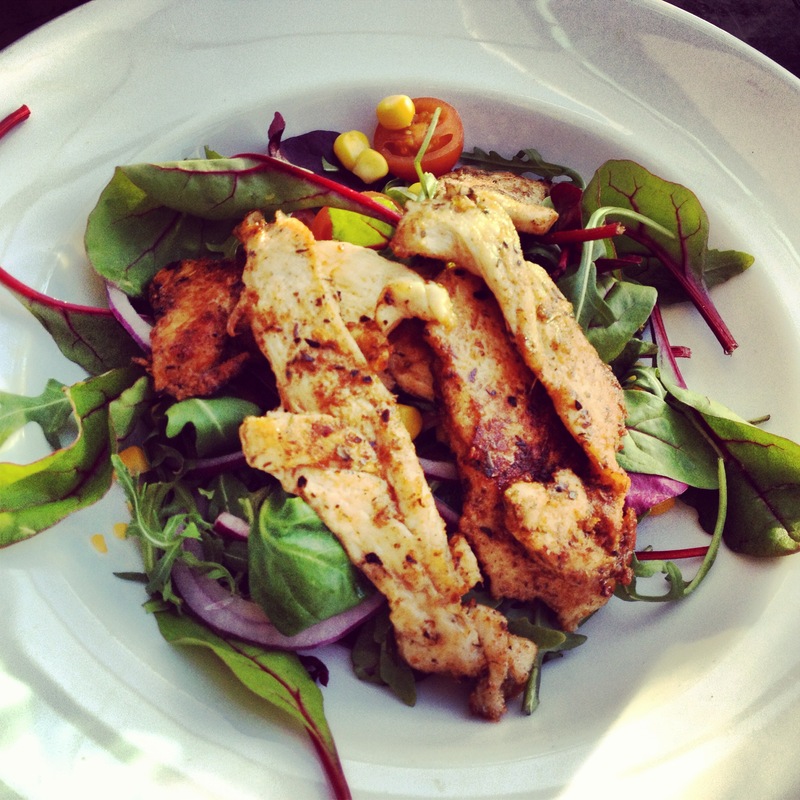 There was a generous portion of marinated chicken strips, cherry tomatoes, red onion, lettuce leaves and sweetcorn. Mam went for the Spag Bol and got a pretty damn big plate of food! There was a pile of fresh pasta topped with a lovely mince and tomato sauce, served with some parmesan. 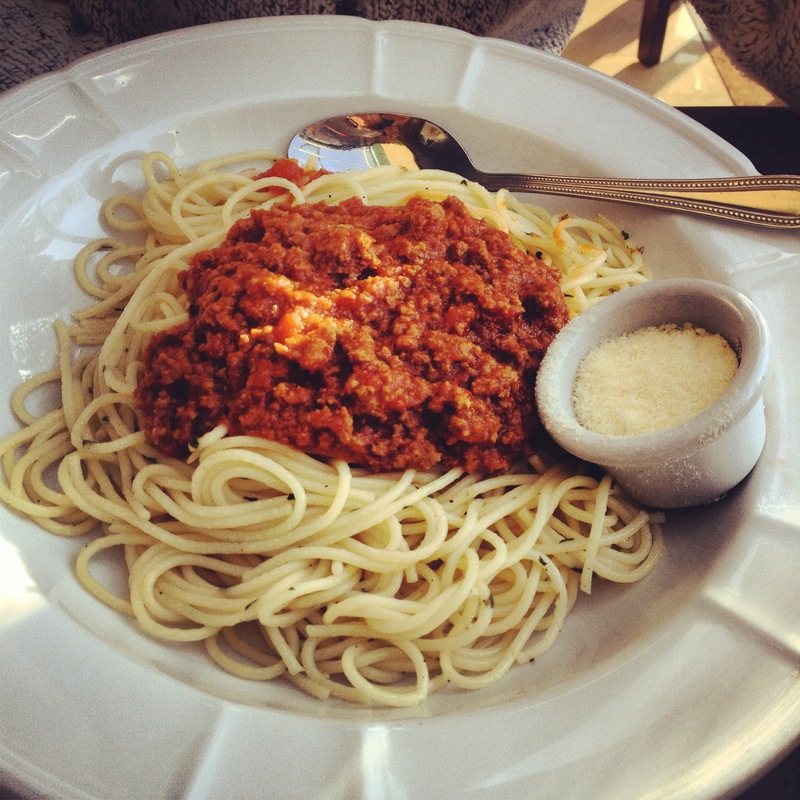 While I was trying to stick to the healthy option, I was absolutely drooling over the pasta! Along with great food and service they also have a library where you are encouraged to take a book and leave one of your own – I love this idea! 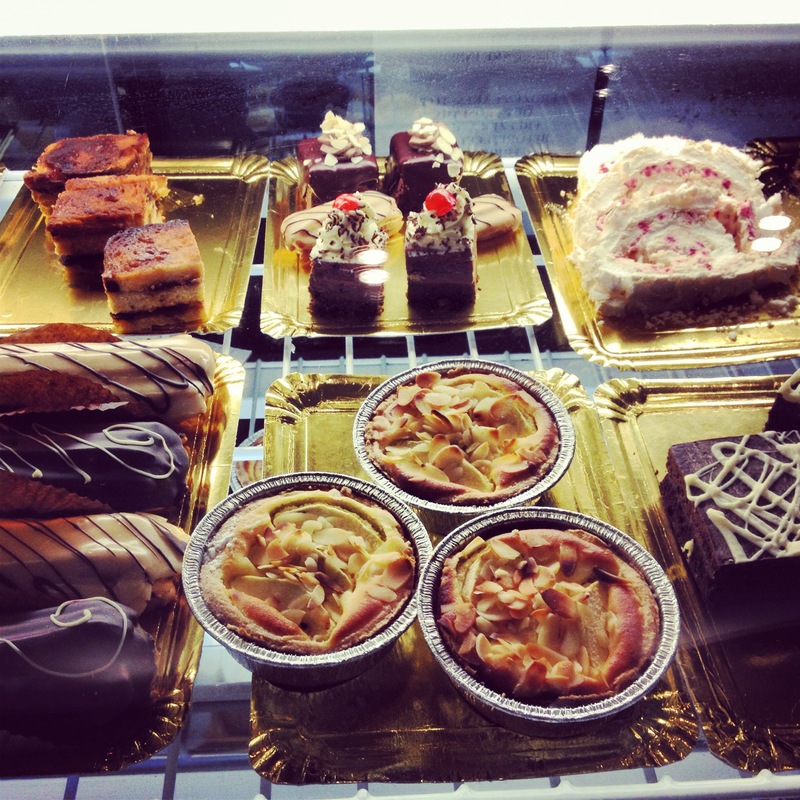 When paying at the desk on the way out it’s impossible to miss the great selection of cakes and treats they offer. Every time I visit I say I’ll try one of them next time but have yet to taste the desserts. 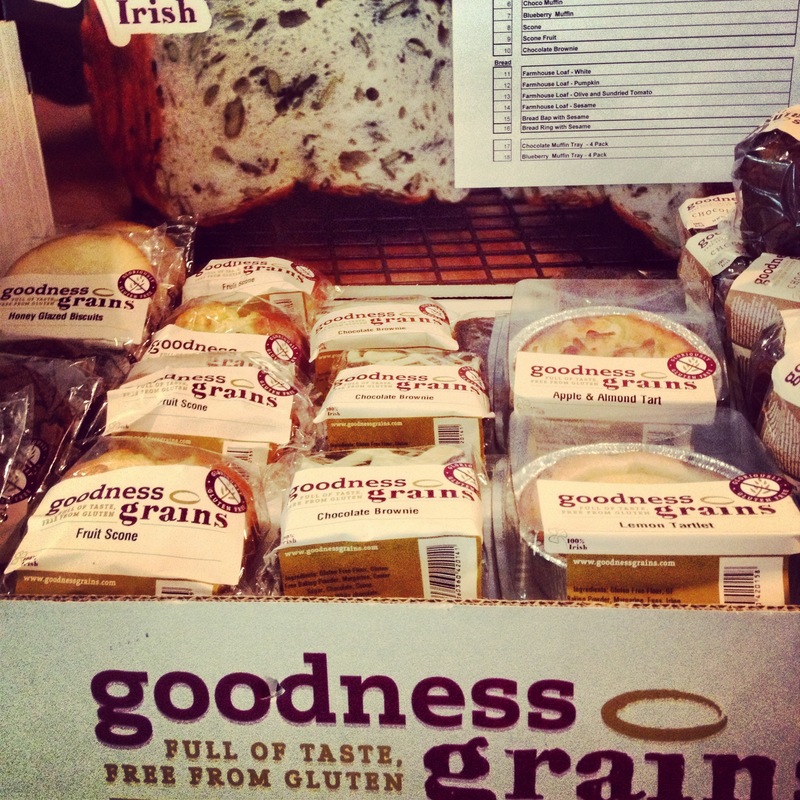 You’ll also see a great selection of Goodness Grains gluten free foods to buy and take away – I’ve seen flyers for special Gluten Free nights and Jazz nights being held there too so there is always something to look out for. 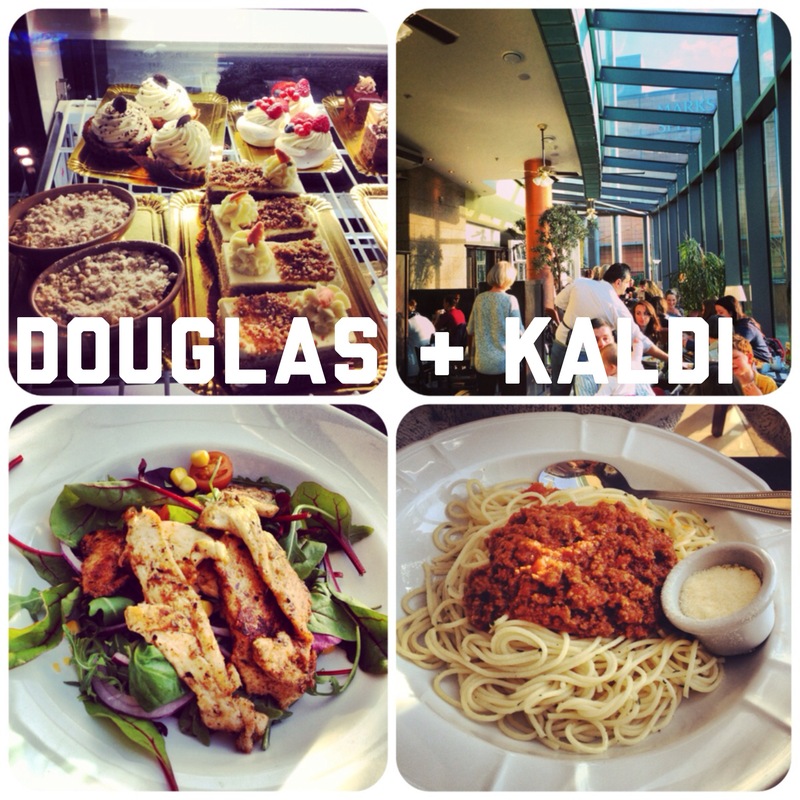 D & K serve really great food with a healthy option at very reasonable prices…. 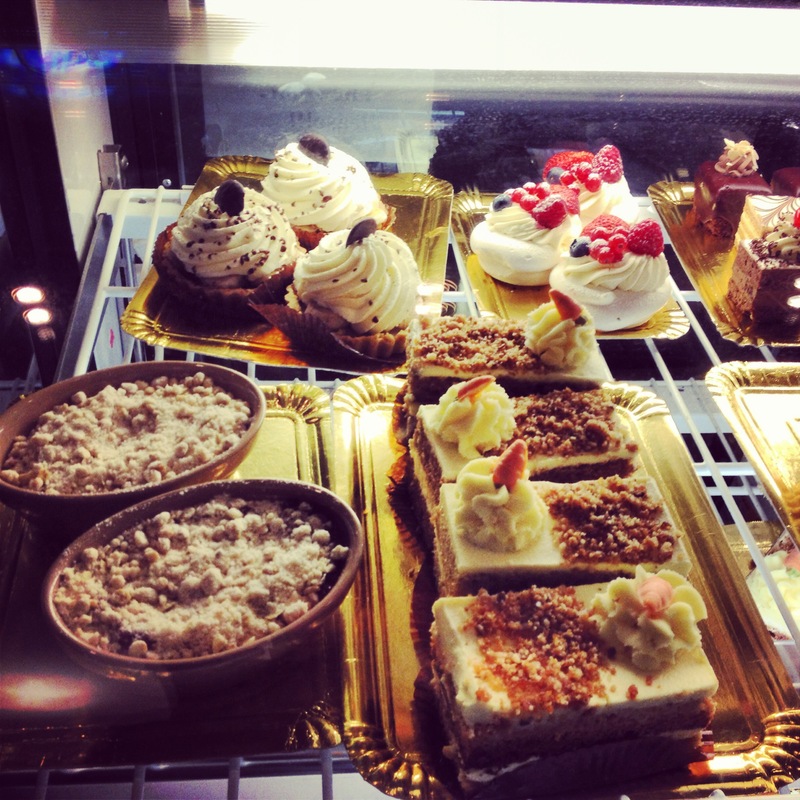 whether it be for coffee and cake or a full lunch they are worth a visit!